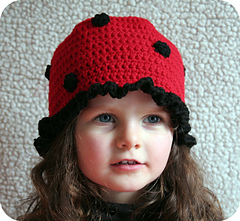 So many little girls LOVE ♥ ladybugs. 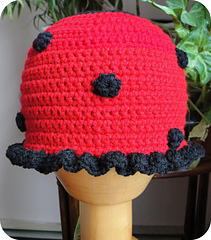 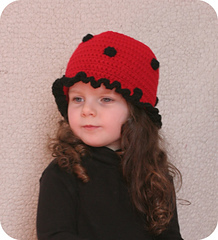 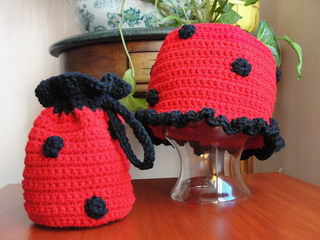 And you will love how darling your little one looks when she wears our Ladybug Cloche and Purse! 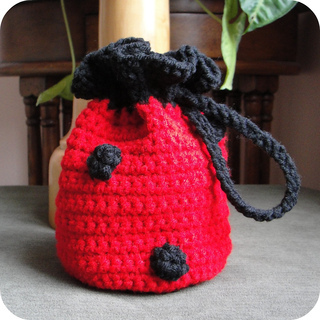 Crochet our adorable purse & hat using easy-to-find worsted weight yarn & simple stitches! 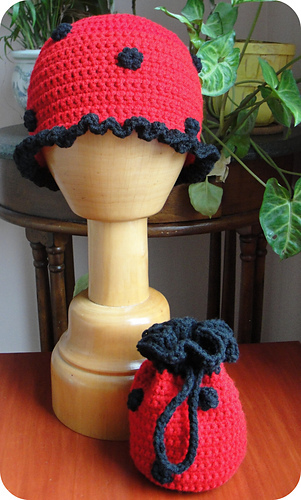 The pattern works up very quickly, also!